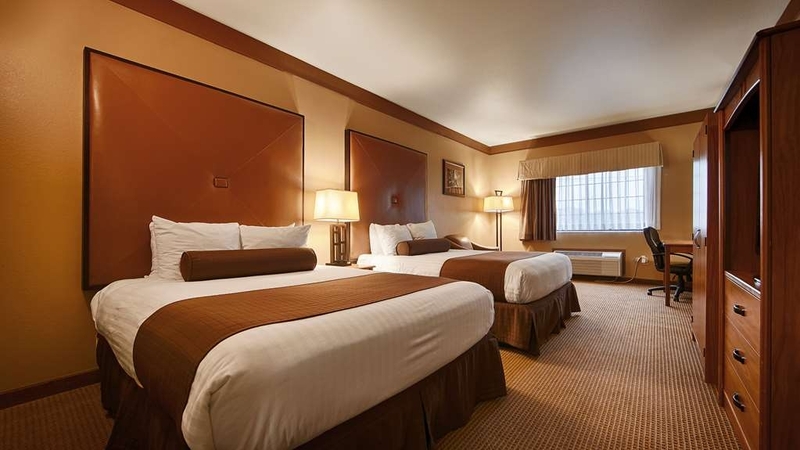 Das SureStay Plus Hotel by Best Western Beeville ist ideal in Beeville Stadtzentrum zu finden. Erleben Sie ein schöner Aufenthalt in der Nähe von alle Sehenswurdigkeiten. Bestpreisgarantie und exklusive Angebote. Das SureStay Plus? Hotel Beeville bietet Besuchern eine einzigartige Ausstattungsvielfalt. Genießen Sie am Morgen ein kostenloses komplettes warmes Frühstück, serviert von 6:30 Uhr bis 9:30 Uhr. Anschließend können Sie eine Runde im Außenpool mit einer Tiefe von 1,5 Metern schwimmen. Das weitläufige Gelände um den Pool herum bietet eine Grillecke unter dem Pavilion, der außerdem über vier große Bänke verfügt. Toiletten zwischen Swimmingpool und Pavillon sind ebenfalls vorhanden. Im Hotel befindet sich ein rund um die Uhr geöffneter Fitnessraum, und wenn Sie nach dem Training ein plötzliches Verlangen nach einem Schokoriegel packt, stehen Verkaufsautomaten im Innen- und Außenbereich bereit. Daneben befindet sich ein Eiswürfelbereiter. Es gibt 61 Gästezimmer auf insgesamt zwei Etagen. Die 23 Zimmer im Obergeschoss sind nicht über einen Aufzug zu erreichen. Es gibt drei verschiedene Treppenhäuser, über die jedes Zimmer im Obergeschoss gut zu erreichen ist. Wir bieten 25 Zimmer mit Kingsize-Bett, 36 Zimmer mit zwei Queensize-Betten sowie drei behindertengerechte Zimmer. Zwei Suiten mit Whirlpool-Wanne sind vorhanden, und ein Zimmer mit Kingsize-Bett bietet auch ein Schlafsofa in Standardgröße. Die Hälfte unserer Zimmer im Erdgeschoss verfügen über Parkplätze direkt vor der Tür, was viele Gäste bevorzugen. Wir bieten kostenloses drahtloses Internet (Wi-Fi) und ein Business Center im Foyer. Am Dienstagabend veranstalten wir für Mitglieder unseres BWR-Bonusprogramms eine „Happy Hour“ mit kostenlosen Snacks, alkoholfreien Getränken und Bier. Genießen Sie Ihren Aufenthalt! Room was clean and quiet. I had forgot my phone charger at home. I was wiped out from training seccions all day and did not feel like leaving to buy a charger. The lady at the desk loaned her charger to me so I could charge it before going to sleep. Quaint and a little worn but very friendly & a welcoming staff! Warning - there is no elevator here so if you end up on the second floor you will have to use stairs. 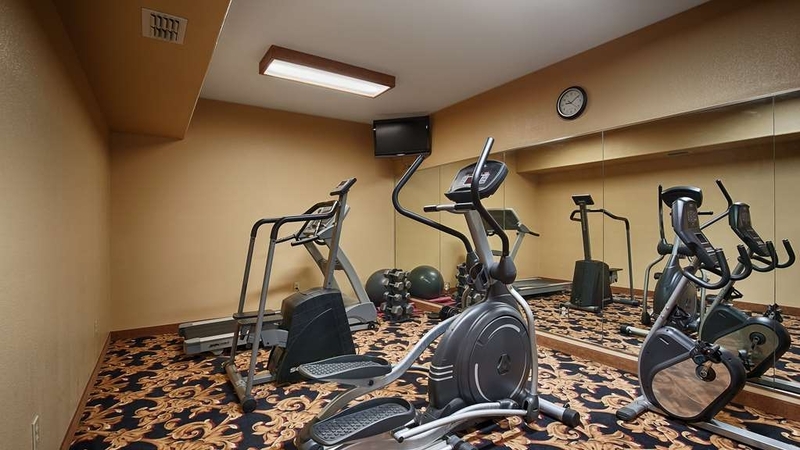 I read the reviews and this hotel was rated high for cleanliness. Sadly, I felt that was where they were lacking. When we pulled the covers back on the bed there was hair and dirt - I couldn't tell if it was just stuck post-laundry as the bedding smelled clean and the bed was tightly made. There was also hair on the shower walls and the tub backed up until a large wad of hair floated out. "EZ access right off 59 and 181"
This motel has everything I need for a extended stay or overnight. My room has an outside access door and a door to the inside corridor. Laundry room is inexpensive and clean. Breakfast is excellent and the girls cooking are GREAT!!! Staff is helpful and kind. My room was comfortable and large. The towels need replaced but other than that all is good. I will be back. WOW! Thank you so much for your great review about our property and staff! I'm glad we are always able to make you feel welcomed here, this is what we strive for. I will be sure to share this with the entire staff! We looking forward to seeing you again! We are happy to always have you here. 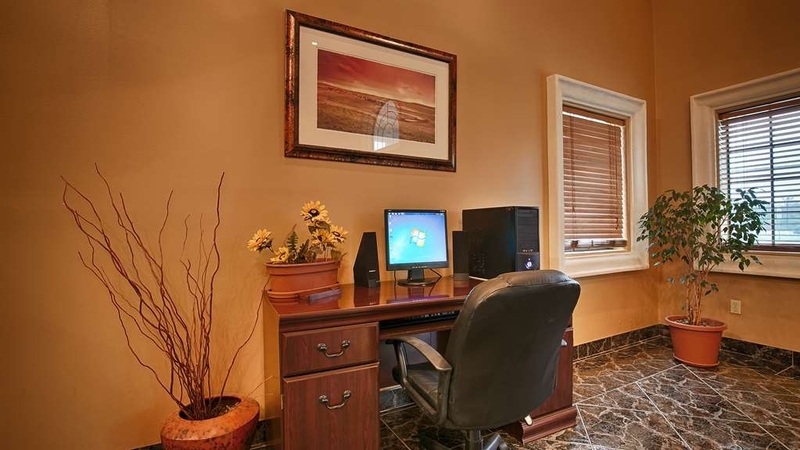 The room was very comfortable and clean and the air conditioner and refridgerator worked good. Good water pressure - towels are not soft and fluffy - should probably invest in new ones. Bed and pillows super comfy. Room smelled a little musty but not too bad. TV was awesome and clear! Front desk clerk was very friendly and helpful. Lobby is inviting and clean and the ice machine worked good. Parking lot clean an well lit.Skip the breakfast. The bagels were old/stale and the scrambled eggs were badly overcooked. The sausage patties were dry. The muffins and the coffee were good but there was no real sugar out to use. The juice was warm. The breakfast attendant was bothered by questions because she was focused on her cell phone. Thank you so much Renee for your review! And thank you for bringing some things to our attention that way we know the areas we can work on to ensure all of our guest have a great experience with us. I'm happy you found our front desk to be helpful and friendly, I love to hear this about our staff. Also, I'm glad to hear for the most part that your room was good too. We will look into anything negative you mentioned that could use some looking over. I also apologize about your experience with breakfast. This issue has already been addressed. We hope you will give us another chance to give you a great experience and to see you soon! Clean, tidy rooms, very friendly staff, great price. Best nights sleep ever on their super wonderful beds! 4 pillows and a back roll on each bed. First time staying at a SureStay Plus, but won't be the last. Will look for them wherever we go. Thank you so much for staying with us and taking the time to give us a great review! We strive to make sure each guest feels just the way you did during your stay. I'm glad we were able to provide you with your best nights sleep, and happy to hear that you will now be looking for a sure stay plus as your home away from home. We will be looking forward to seeing you in the future. Thanks again! 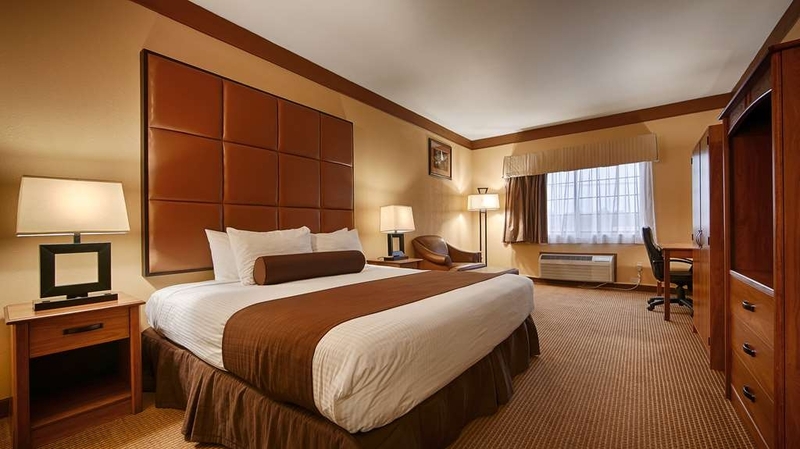 If your looking for a clean, roomy upgraded hotel, this is the hotel for you. It more than I expected for sure. The hotel staff was amazing! Super friendly and willing to help efficiently and quickly! The pool area was nice. Breakfast in the morning was not only free but absolutely delicious. We were all extremely happy with our stay and will stay again. I had to come to Beeville for a family funeral. Tyrina made the process so easy and took care of all the arrangements. I arrived late and was welcomed by the front desk agent. She was super nice! Arrived to my room and was very delighted to find my room was very clean and had my all amenities that were needed (of course I had to forget something). They provided a great breakfast the next morning. I have found a new place to stay when I come to Beeville. Sure Stay staff, facility, and food was a lot better than the Hampton Inn! Thanks Tyrina for all the help, it is greatly appreciated. I will be back!!! 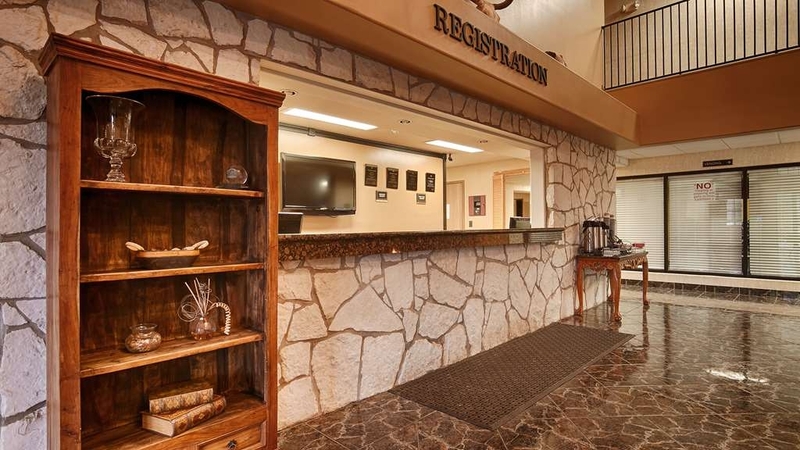 Its very rare you find a good hotel in beeville with a great customer service. I am a local but I had plumbing repairs done in my home over the weekend. I called everywhere and high end hotels charged an arm and leg are were not willing to work with us because they were almost sold out!. I called and spoke to Tyrina and Darian! What great customer service. By the time I left I felt like family! I highly recommend this property if you are on a budget and like little perks. Breakfast was awesome! Everything was hot and fresh! The pool allowed us to relax and even BBQ with space away from others!! !Even had a little picnic area. what a great experience. 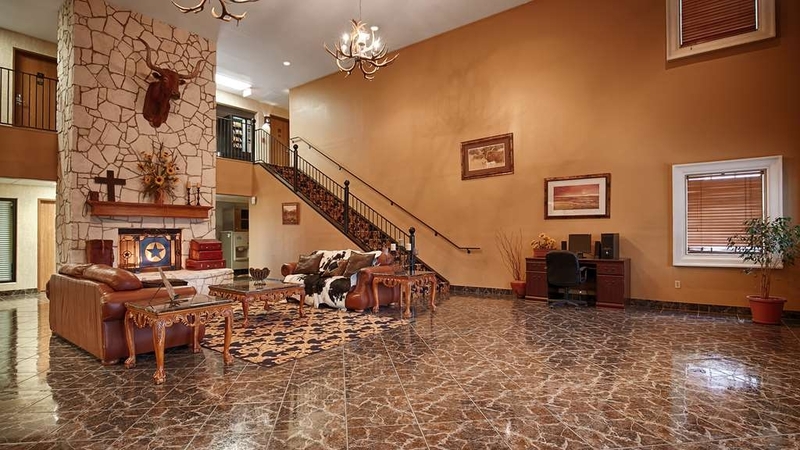 I will definitely recommend this property to all of my out of town clients!!! Thank you so much! And to the front desk staff that offered to help me with my bags I owe you dinner!! thanks again everyone for making me feel right at home! "Best hotel to stay at!" This was one of the best hotels I've stayed at. The staff was very friendly and always asked if I needed anything. Everything was very clean, from the front desk to inside my room. There was more than enough space for me to fit in our play pen and have extra room to walk around which is always a plus! I also love the complementary breakfast and 12pm checkout! I'll definately be coming back to the Sure Stay Plus whenever I'm in town! This hotel was a bad experience for me. This hotel needed to be upgraded. The carpet needed to be replaced and had a very bad odor. There was a hot tub in the room and I could not use it because the hot water did not get even warm. I saw roaches in the bathroom that I had to kill. When I checked in to pay for my room, they put a hold on my credit card. Not a debt card. When I went to check out the hold was still there and my card then was overdrawn, and I could not use it. I was sent an email from the hotel. I filled out the questionaire, and yet have I received a call from their management. I do not recommend this place to anyone that wants to stay in Beeville, TX. Service is the key to life. These people have no idea what that is! "Church meetings in conference room"
We held our church meetings in the conference room at this hotel ever Sunday and Mrs. Tyrina would always go above and beyond setting up for us. We never asked her to do it, but it was a great blessing being able to come in and get other things done. We really appreciate her. She was always so positive! "Texan Inn is Back in Business"
Texan Inn reopened earlier this year under a new company name - Sure Stay. The lobby kept the rustic look. They have kept the amenities like the pool. One drawback is their phone number is also their fax machine line. "Texan Inn no Longer Open"
Texan Inn closed in August 2016. I was there for a party twice. They had a room available for private parties. Nice hotel with a pool. Too bad I never stayed overnight. It was located at an accessible location --on the highway. Some relatives stayed there and enjoyed their stay. Everything about our one-night stay was exceptional. The lobby is stunning when you walk through the door. The manager, Patty, checked us in and was an absolute gem. She was friendly, helpful, and one of the reasons I will be returning any time I am in town! 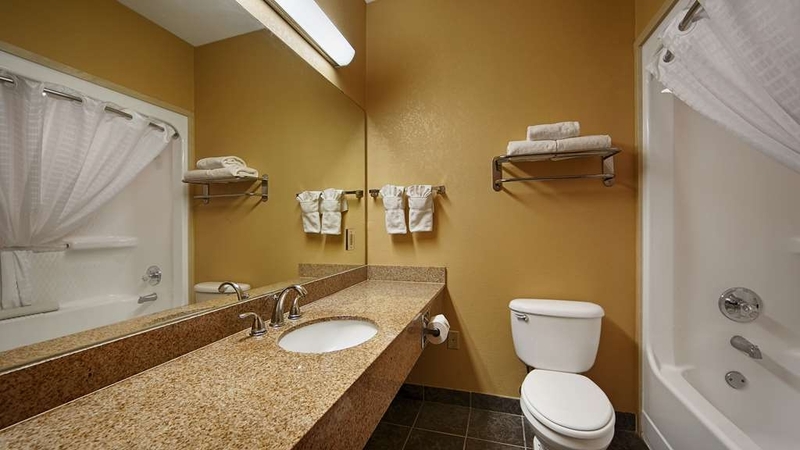 The room was spacious and very clean with great bathroom/shower facilities. Breakfast was delicious and the choices were abundant. Six thumbs up from my group! 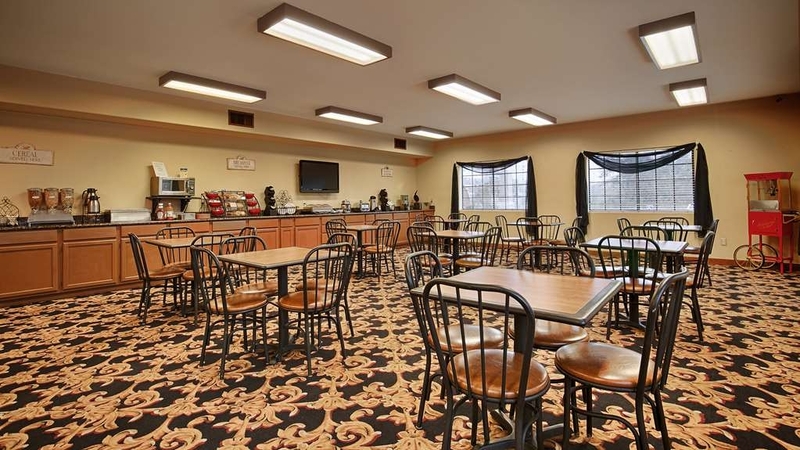 This BW location has become one of my favorites, with all the things I would expect like; nice bath linens, fridge and micro-wave, nice large TV, very comfortable bed, good breakfast diversity, friendly staff, large rooms, a wardrobe of all things, a pool, and all for a VERY reasonable cost. That is a combination you just can't beat, not even with a stick! In the Beeville, TX area? Get yourself to the BW for a relaxed atmosphere and a price that will not rip the seams out of your pockets! !